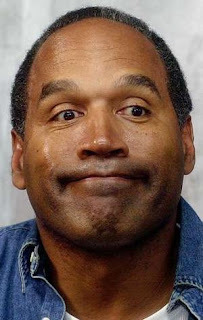 Today was the first day of the OJ Simpson trial in Las Vegas, and it doesn’t look to good for the Juice. Can you believe it? He's back in the spotlight again! 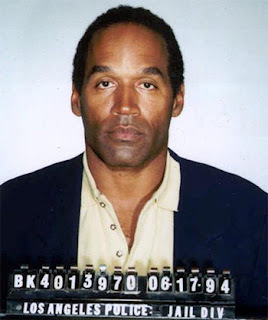 We all remember the trial of the century when the old football legend and actor (sort of) was accused of murdering his wife Nicole Brown Simpson and Ron Goldman. He was cleared of all charges by a Los Angeles jury and later found to be responsible for the deaths, including damages to the victim’s families in excess of 30 million. He then went on to write a book explaining exactly how he got away with the crimes. Now if that's not in your face, I don't know what is?